Composites in action area dedicated to 3D-printing in cooperation with IMT, DLR and Thermwood. 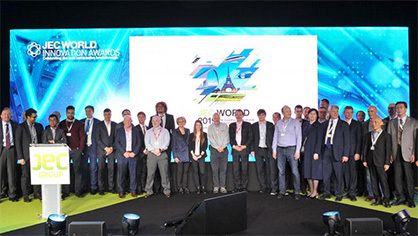 JEC Innovation Awards to identify, promote and reward the most innovative composite projects worldwide. They celebrate the fruitful cooperation between players of the Composite community. Over the past 15 years, the JEC Innovation Awards have brought in 1,800 companies worldwide. 177 companies and 433 partners have been rewarded for the excellence of their composite innovations. Awarded companies will be officialised on Wednesday March, 13th.